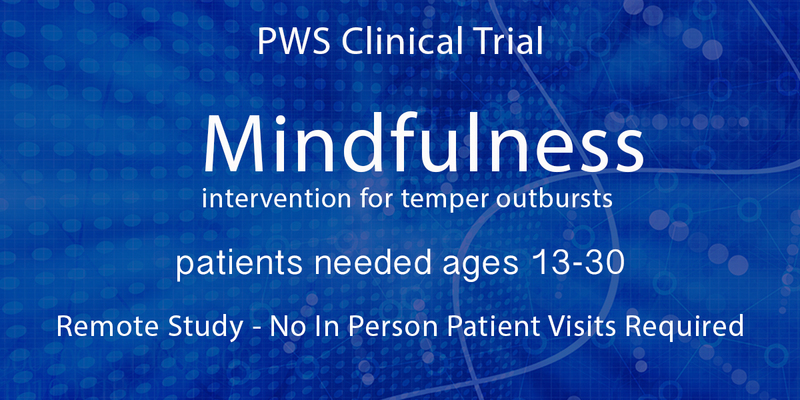 Join us Monday May, 6th at 7 PM ET for a LIVE webinar on the Mindfulness Intervention for Temper Outbursts in PWS. The Mindfulness intervention is a remote study allowing participants, ages 13-30, to participate from anywhere in the world. In this webinar, we will share more about the study and what you can expect if you choose to participate. Time will be reserved for Q&A so bring your questions! Can't make it to the live webinar? A recording of the webinar will be shared with all registrants.